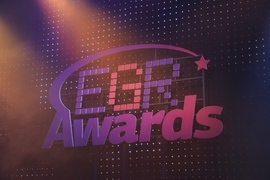 One of the most coveted awards that can be bestowed upon a company in the online gaming industry is an EGR Award, presented by the eGaming publication EGaming Review Magazine. This past weekend, the EGR Awards were handed out in 28 separate categories, with the top honors going to William Hill (Operator of the Year) and 888 Poker (Online Poker Operator of the Year). William Hill which is known for having the Best Online Casino, has been a constant in the online gaming industry since the very early days in the mid-1990’s, and the company has grown their operation from merely a sports-book to a world-class Casino and Online Poker Room over the years. While sports-betting remains at the core of William Hill’s business the site is truly a triple threat in the online gaming world. This is William Hill’s first win in the category; a category that has been dominated by innovators in 3-D online gaming software, PKR Poker in the past. Multiple winners included Paddy Power and Bet365. Paddy Power took home a very impressive three EGR Awards for Affiliate programme of the year, Customer Relations operator of the year, and Social Networking operator of the year. Bet365 managed to take home two EGR awards in the categories of In-Play Sports operator of the year and Sportsbetting operator of the year. This entry was posted on Tuesday, December 6th, 2011 at 8:44 am and is filed under Poker Industry News. You can follow any responses to this entry through the RSS 2.0 feed. You can leave a response, or trackback from your own site.